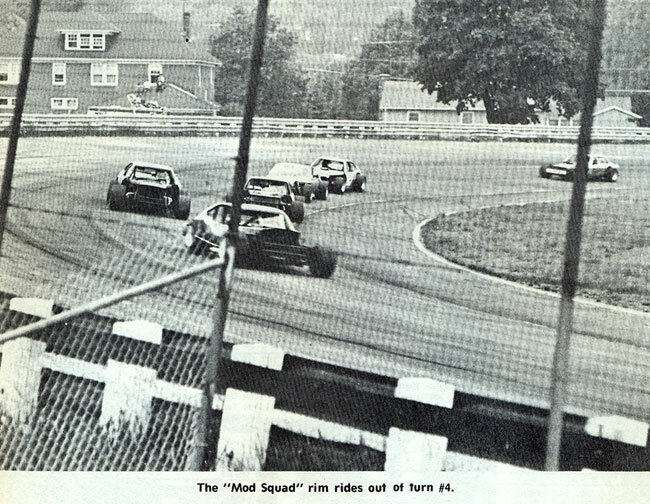 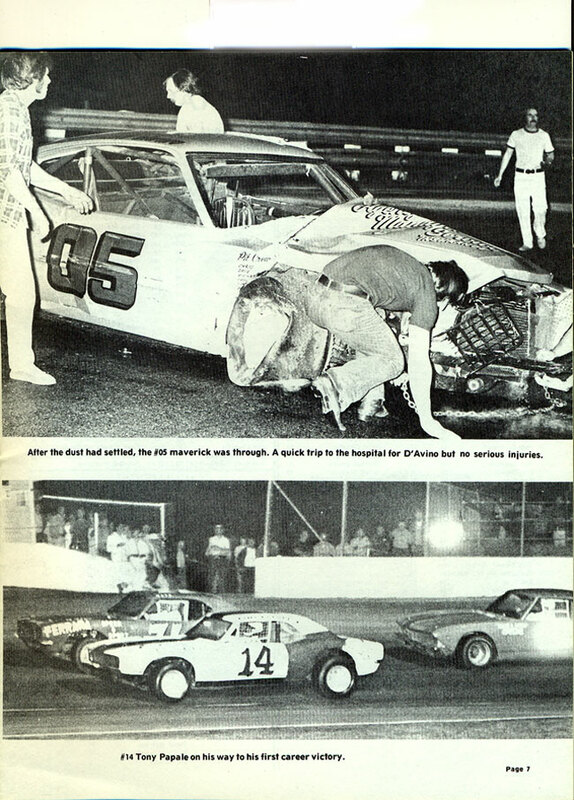 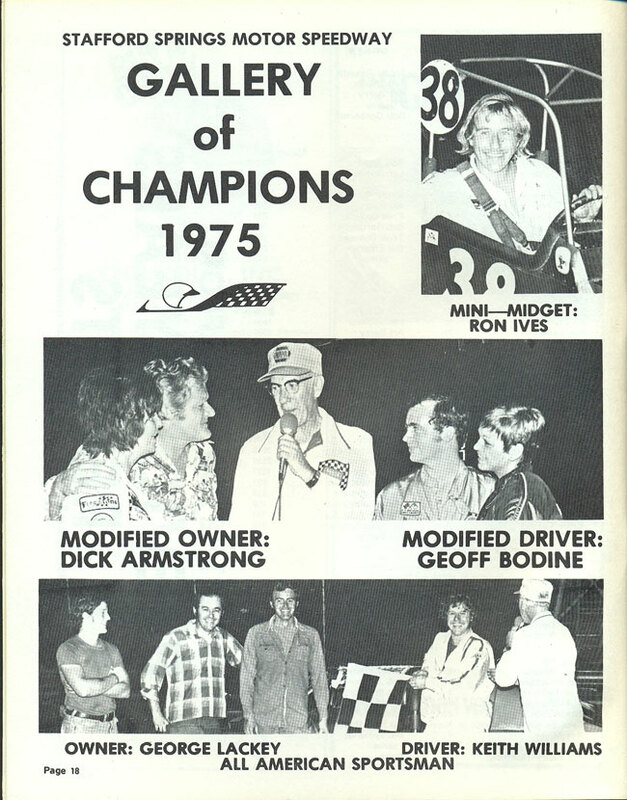 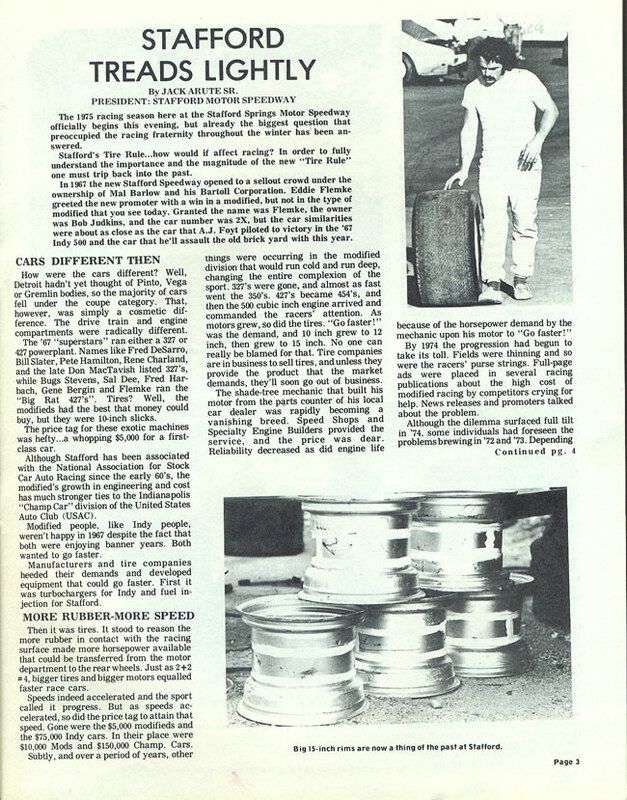 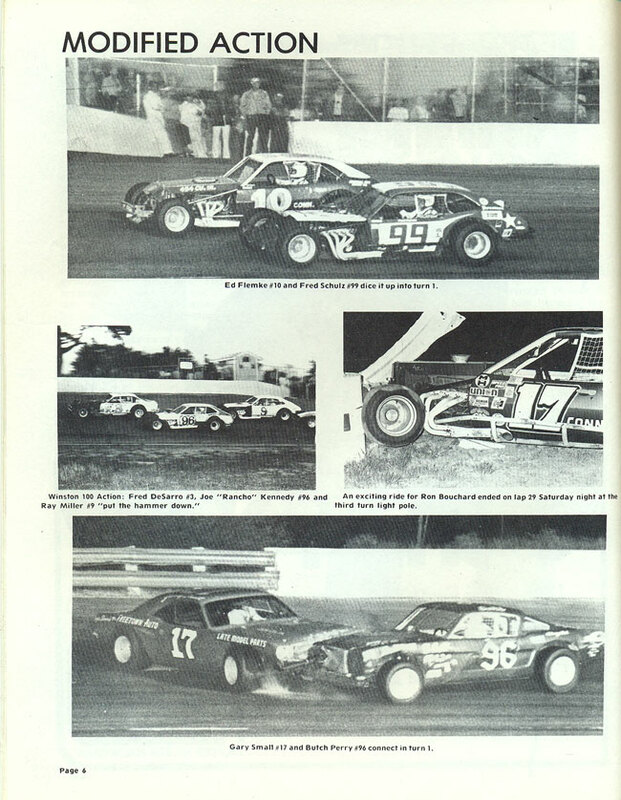 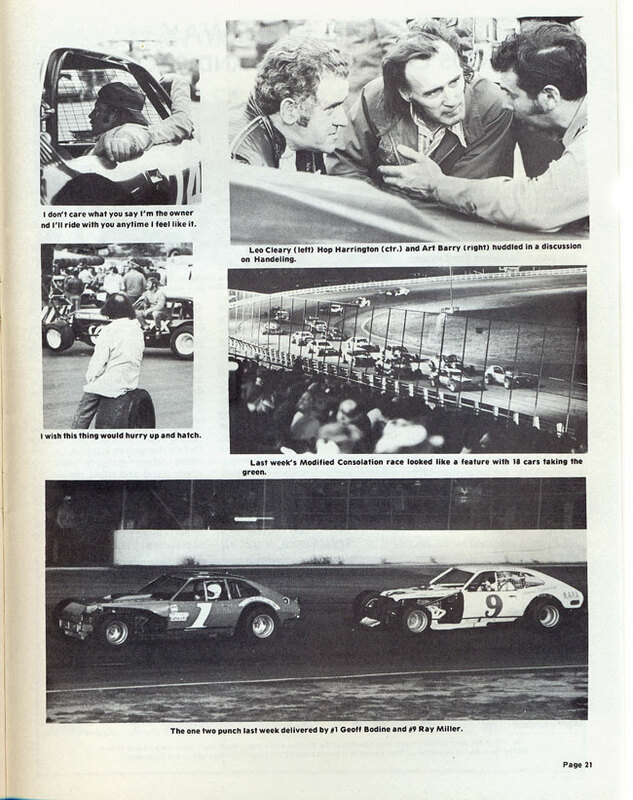 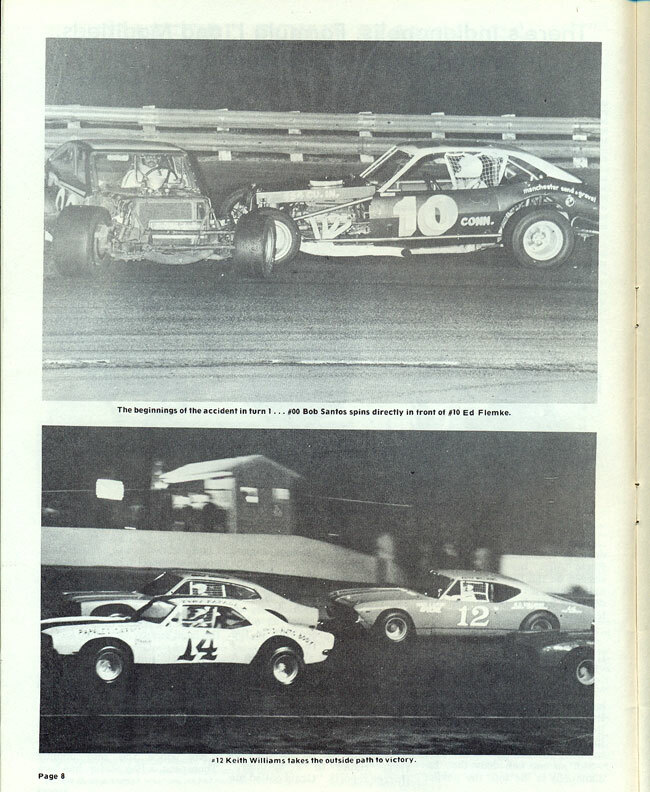 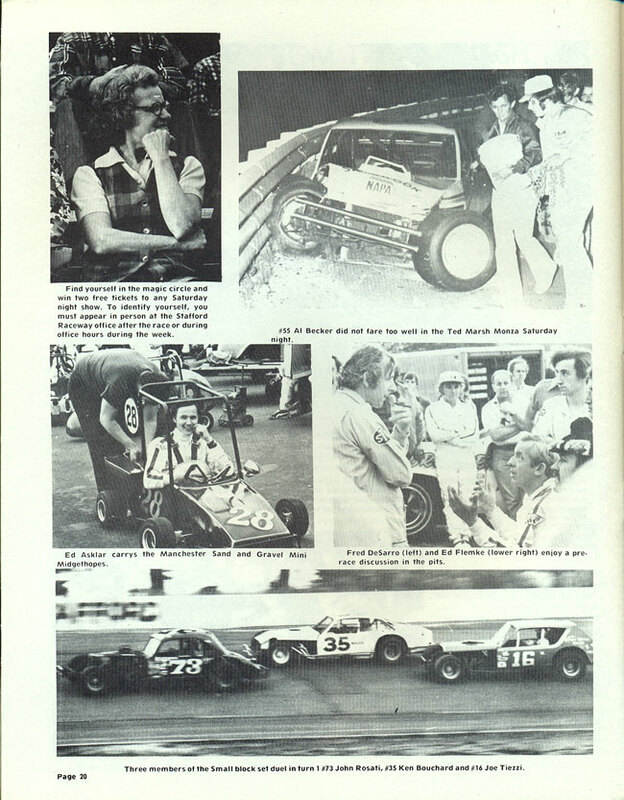 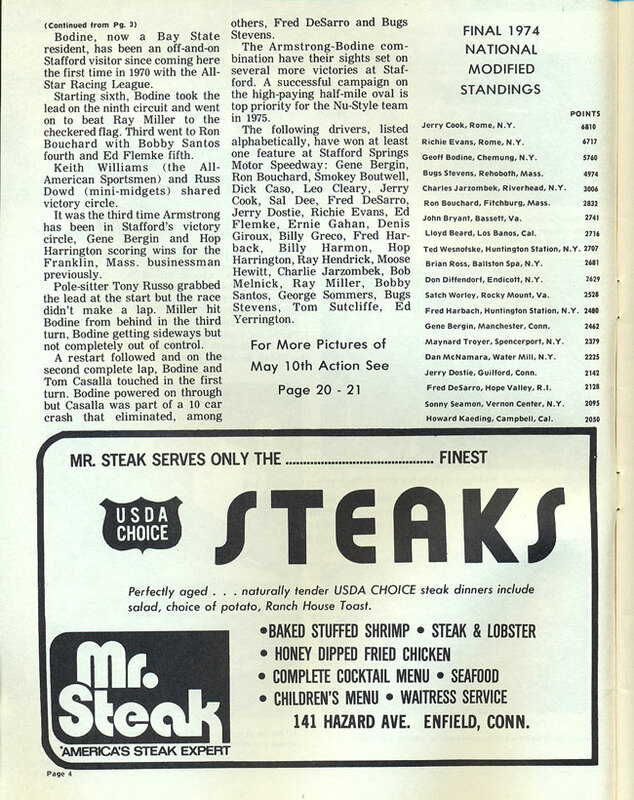 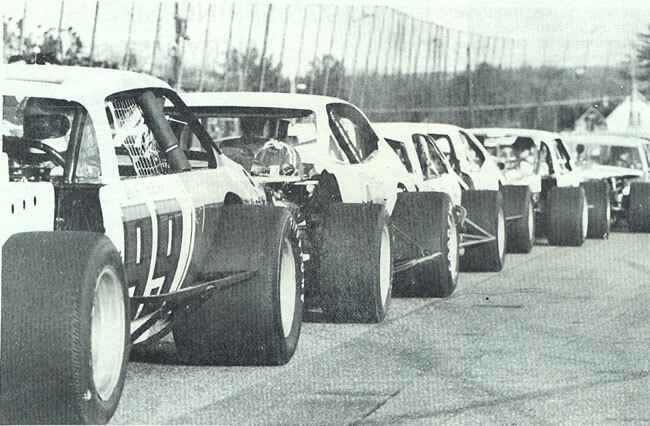 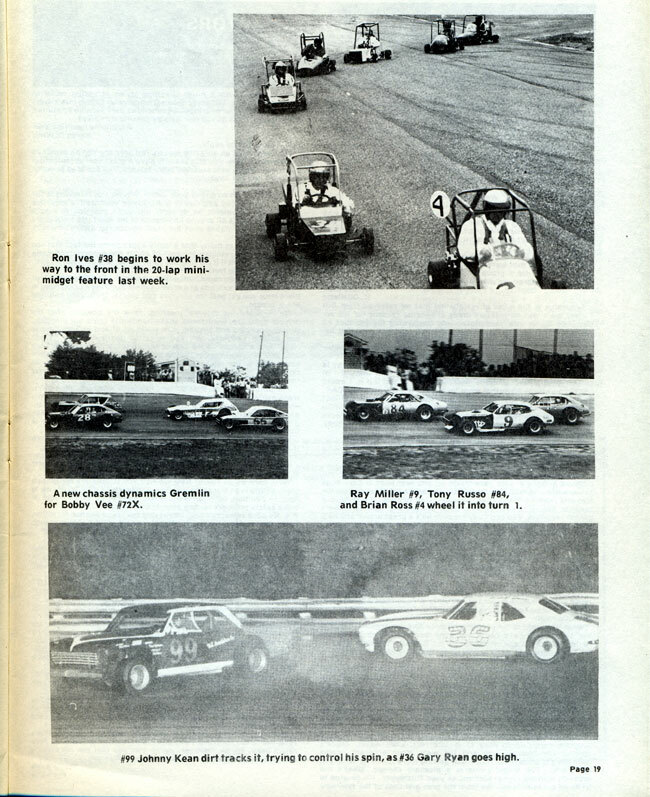 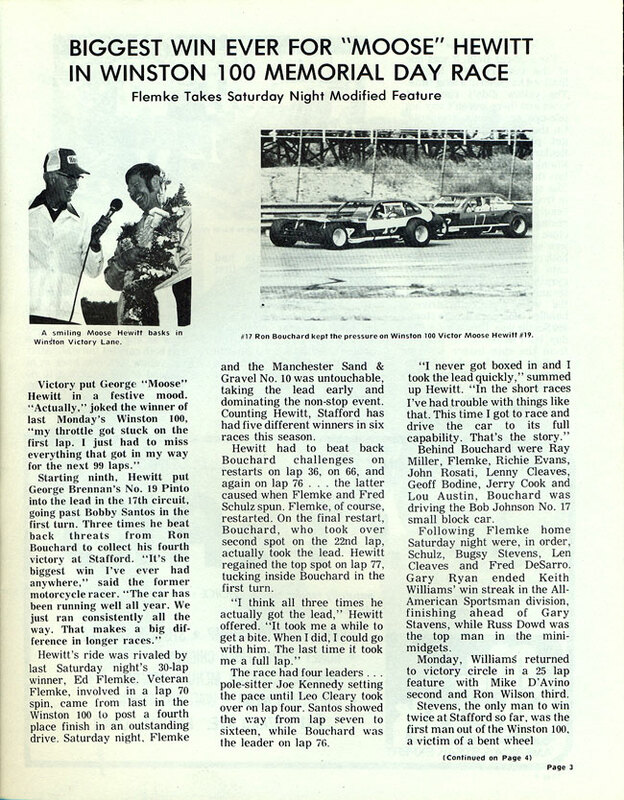 1975 was a year of great controversy in the Modified division. 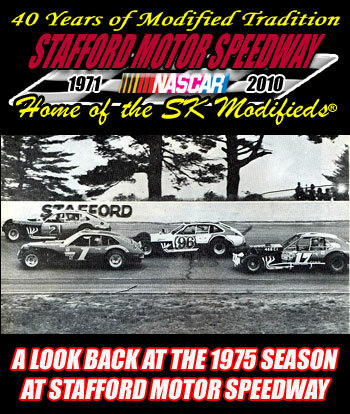 Costs were beginning to spiral out of control so Stafford tried to take initiative and cut costs by creating a tire rule that would restrict tire width to 12 ½ inches. 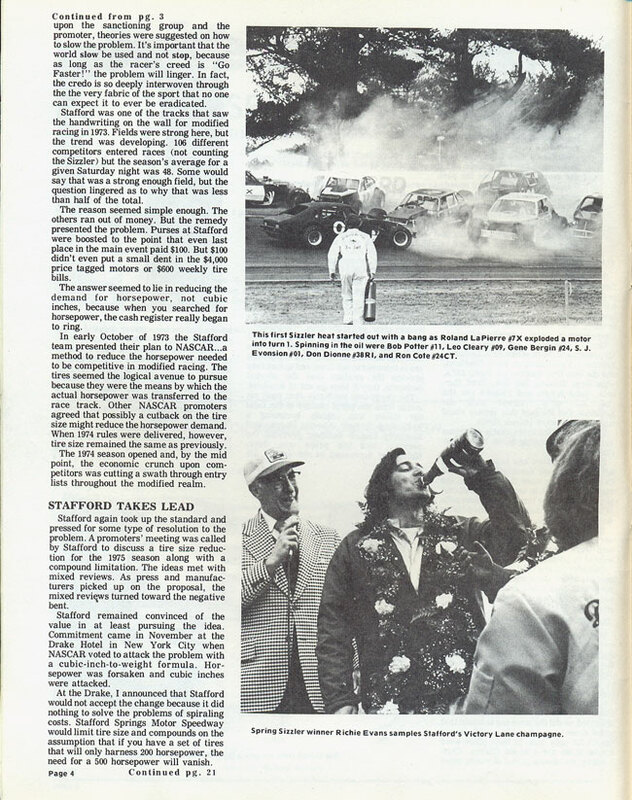 This was an attempt to stop the cost of engines from spiraling out of control. 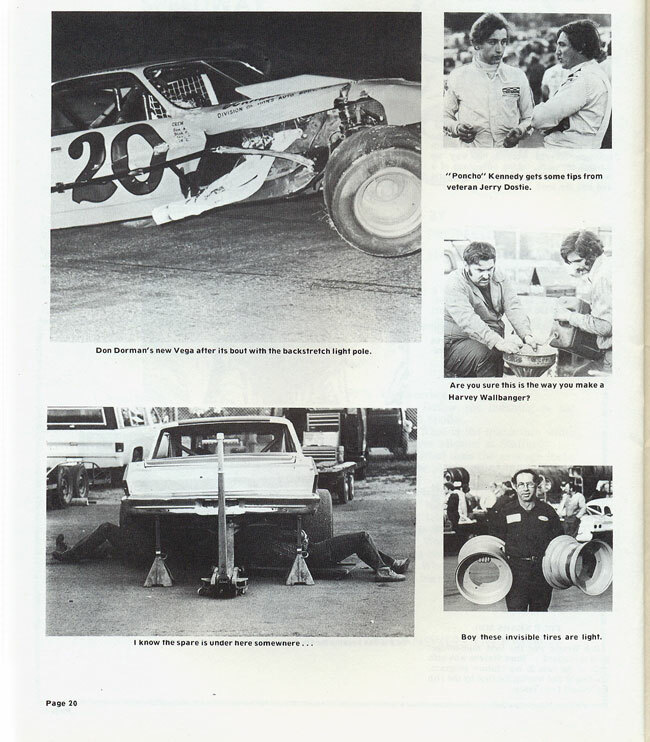 The theory was that if drivers could harness the power in a 200 horsepower engine with the narrower tire then there would be no need to have 500 horsepower engines. 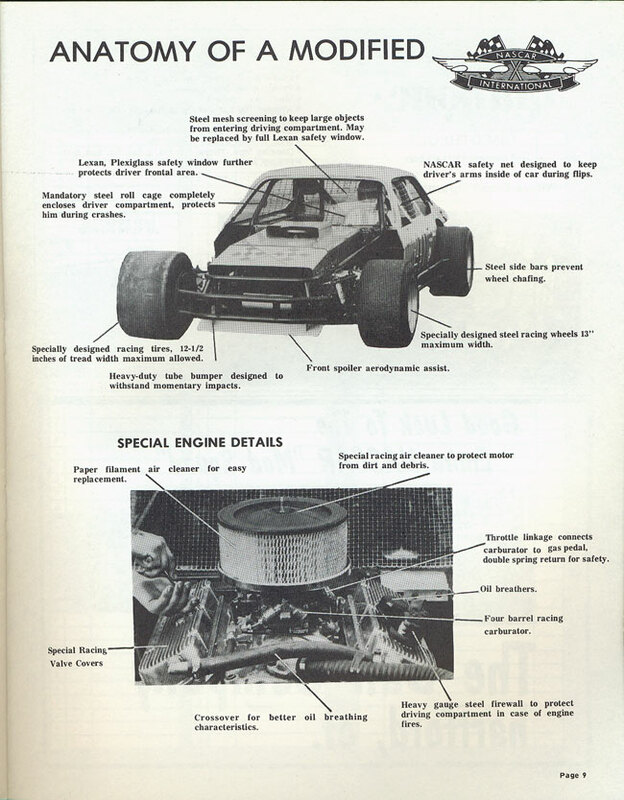 12-½ inch tires would be much to small for 500 horsepower engines, therefore cutting costs for drivers. 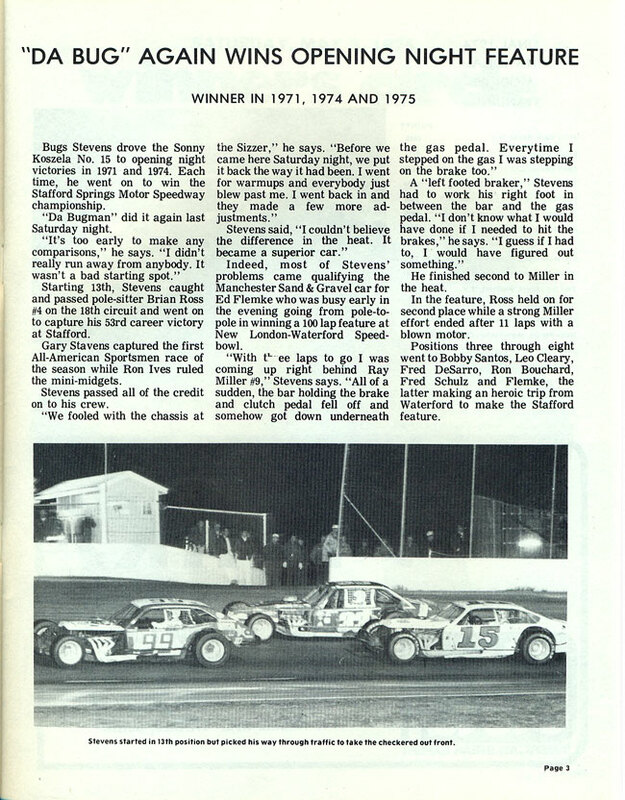 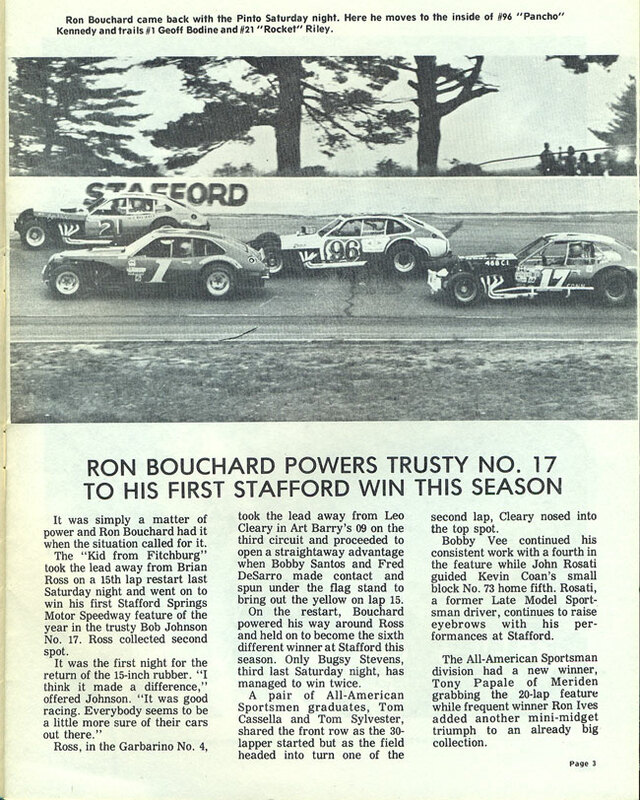 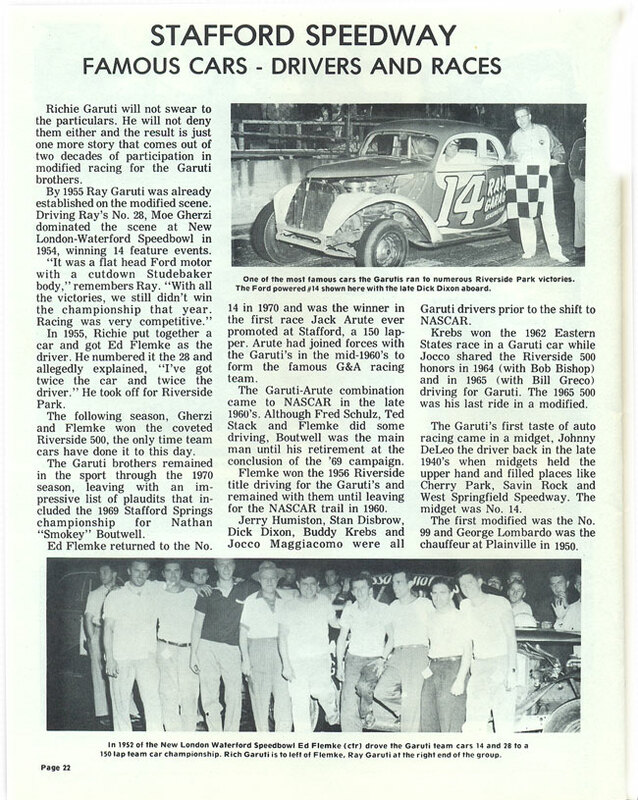 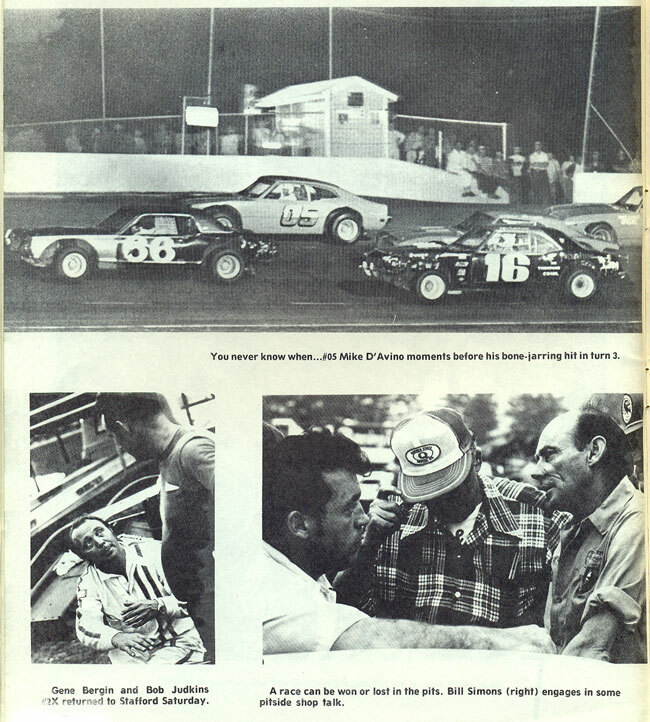 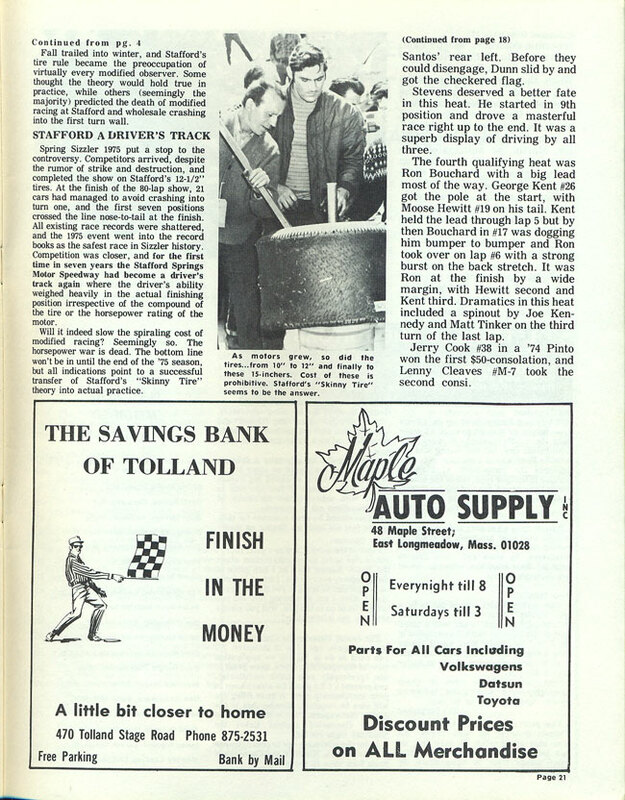 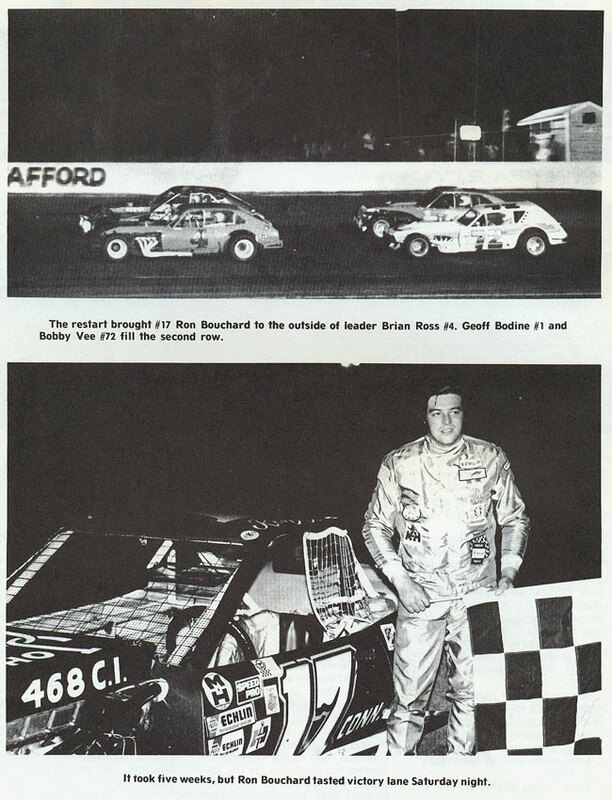 The 1975 season began with a very exciting Spring Sizzler that saw the legendary Richie Evans win at Stafford for the first time after years of trying. 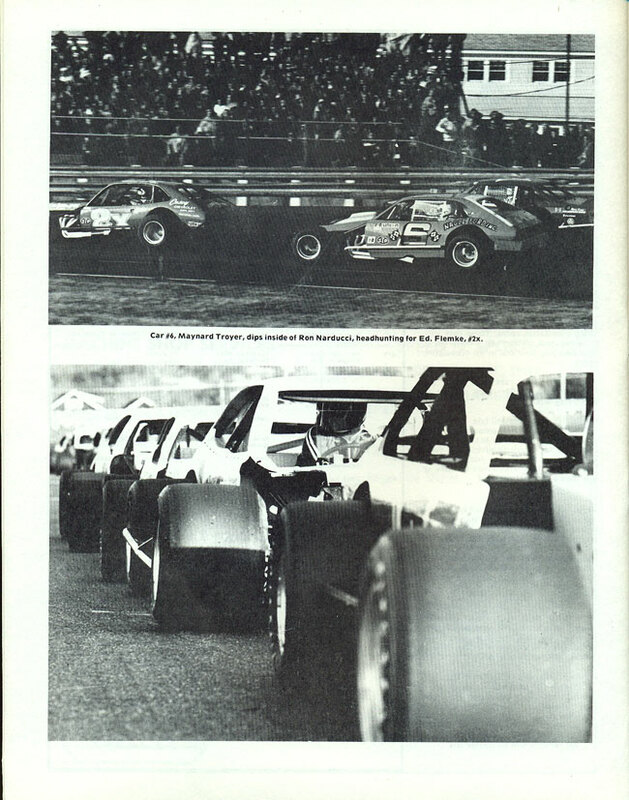 A crowd of nearly 9,500 saw the top seven cars finish nose to tail, this labeled the new tire rule a great success. 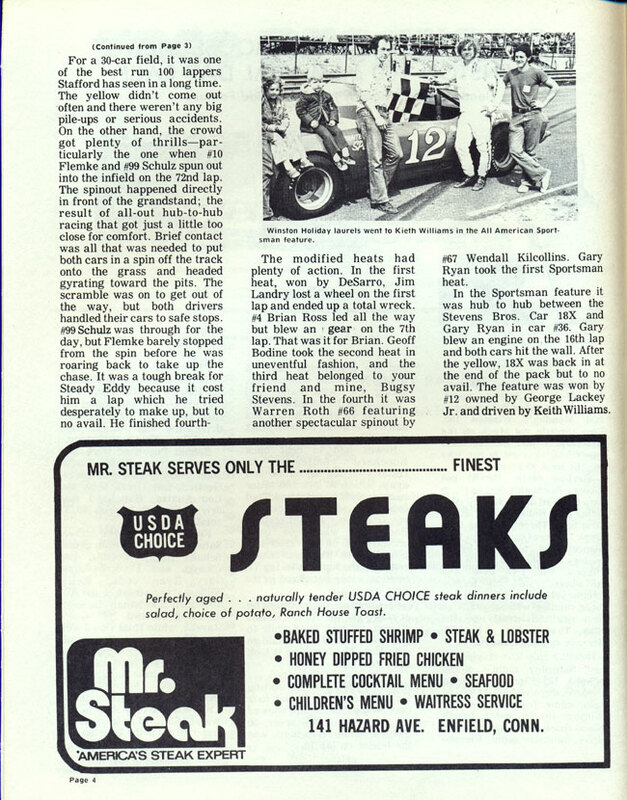 But drivers threatened to boycott, owners complained, and new drivers were rarely seen. 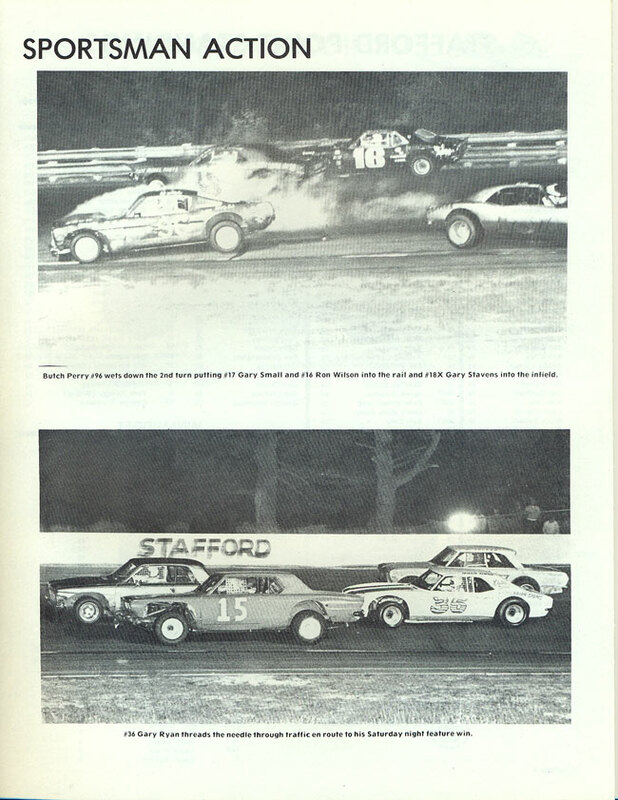 Only 7 weeks after the successful Spring Sizzler the “Stafford Tire Rule” was shelved and big tires and big horsepower returned. 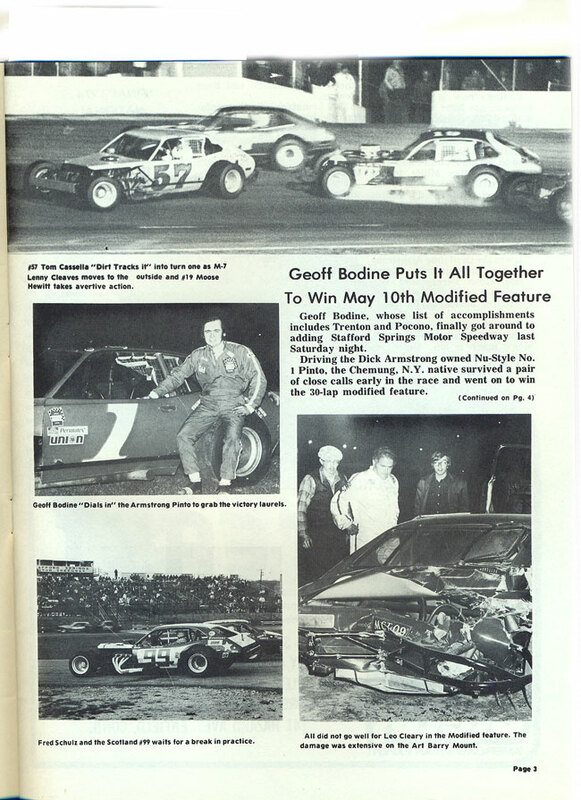 After all the controversy had settled, it turned out to be a very exciting year with victory lane seeing many different faces for both the Modifieds and the All-American Sportsman’s.